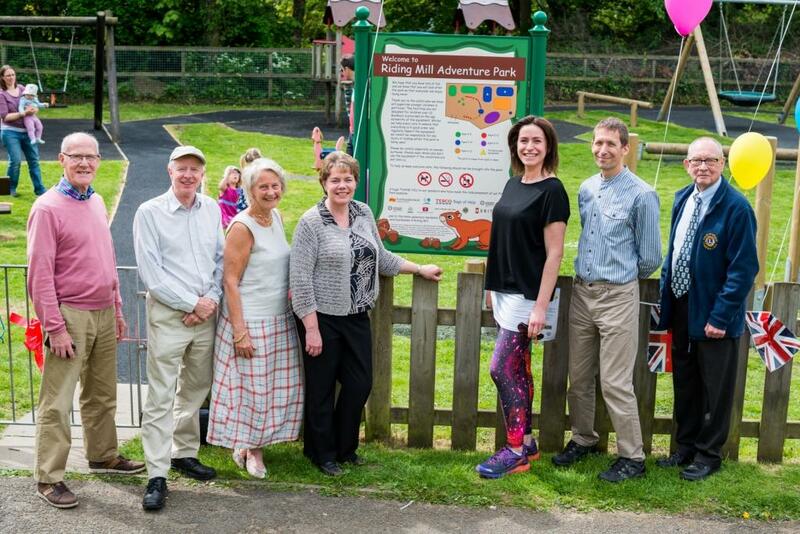 The Riding Mill Play & Regeneration Group was formed in January 2016 with the objective of improving play and keep fit equipment for young people and adults in the village. 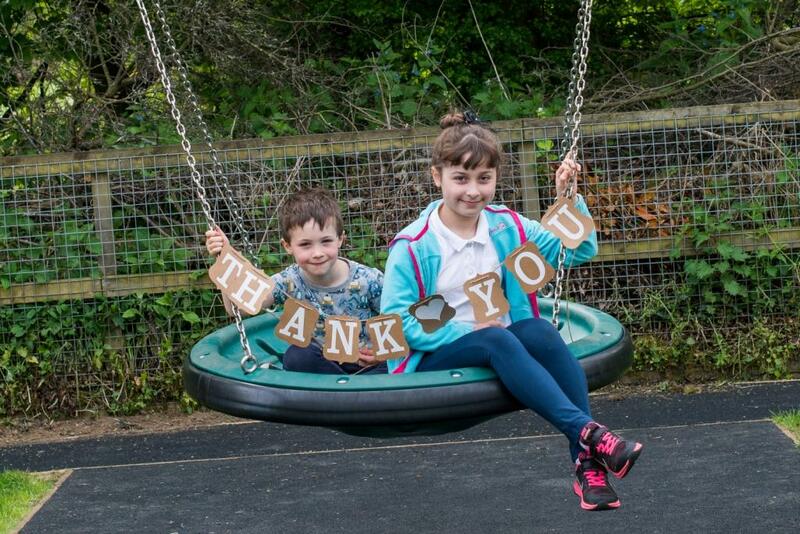 Working in conjunction with Broomhaugh & Riding Parish Council, the Group has helped raise £41,000 to allow our Play Park to have a total revamp. 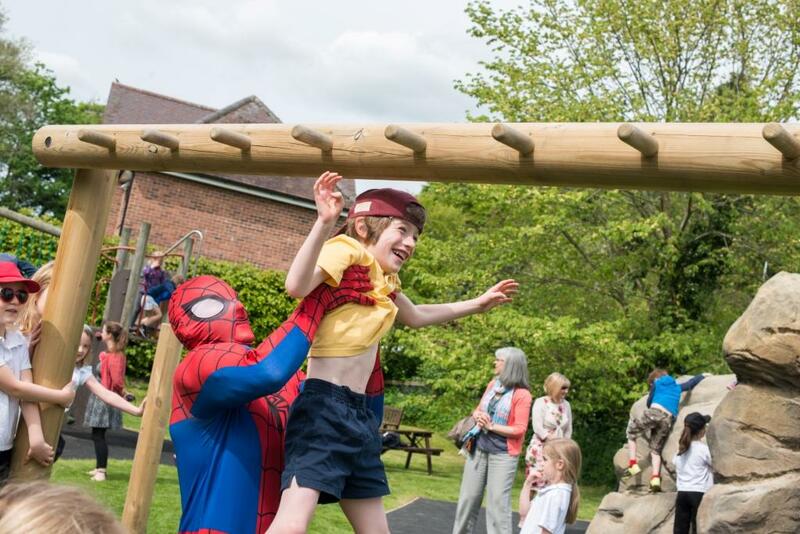 The main objectives were to improve play items for older children and those with disabilities, and to make it easier to access the equipment for anyone with mobility difficulties. 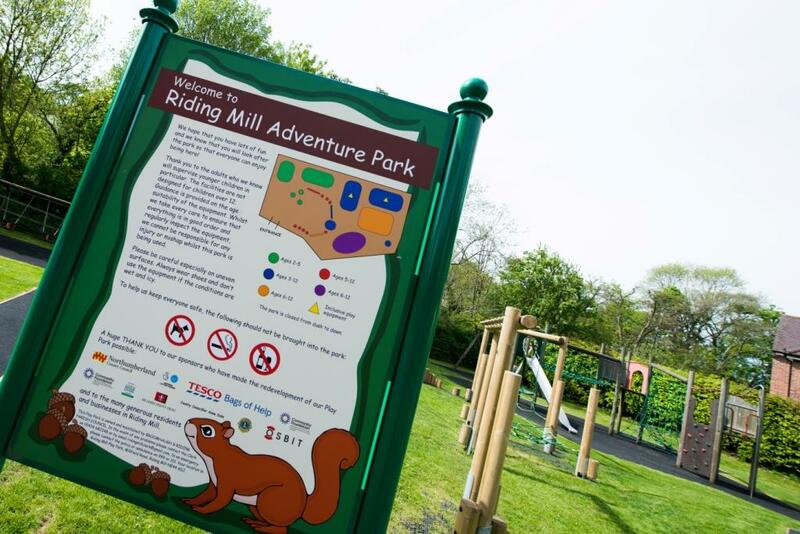 Initial ideas of what to add were sought from the children at Broomhaugh First School who identified that their number one priority was a set of monkey bars! These were duly included as part of a fun adventure trail together with a climbing boulder and team swing. 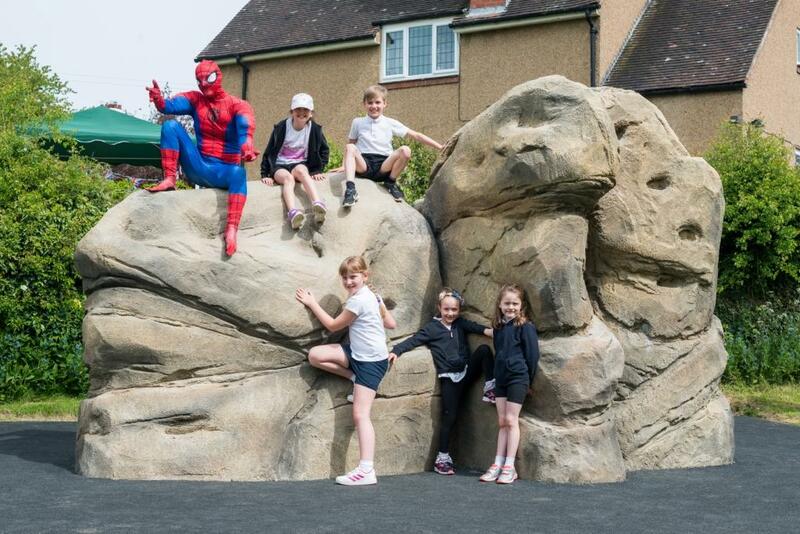 In May 2018, we were pleased to invite a special guest with particular climbing prowess, Spiderman, to help open the newly designed Play Park. Our Group and the Parish Council would like to thank the many sponsors. 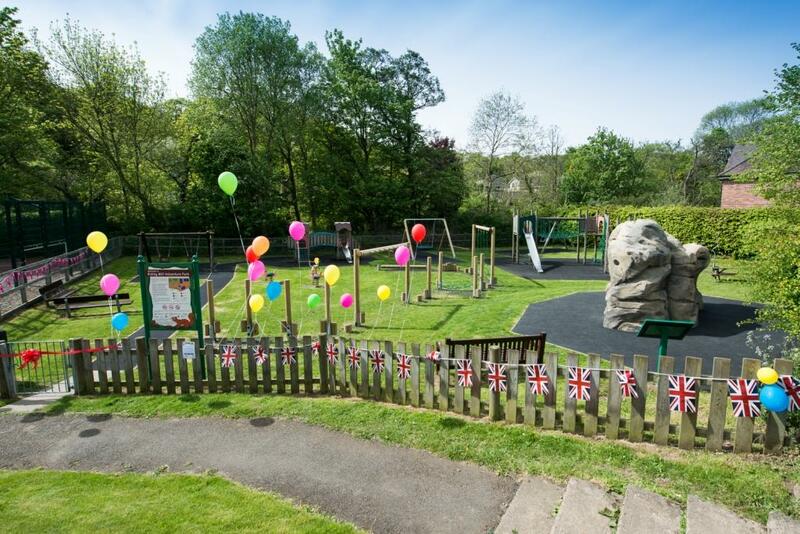 The project secured over £6000 from residents and local businesses including Osbit Limited, together with grants from the Parish Council, the Big Lottery Fund, the Community Foundation, Northumberland County Council, Postcode Local Trust, the Sir James Knott Trust, Tesco Groundworks and Tynedale Lions. 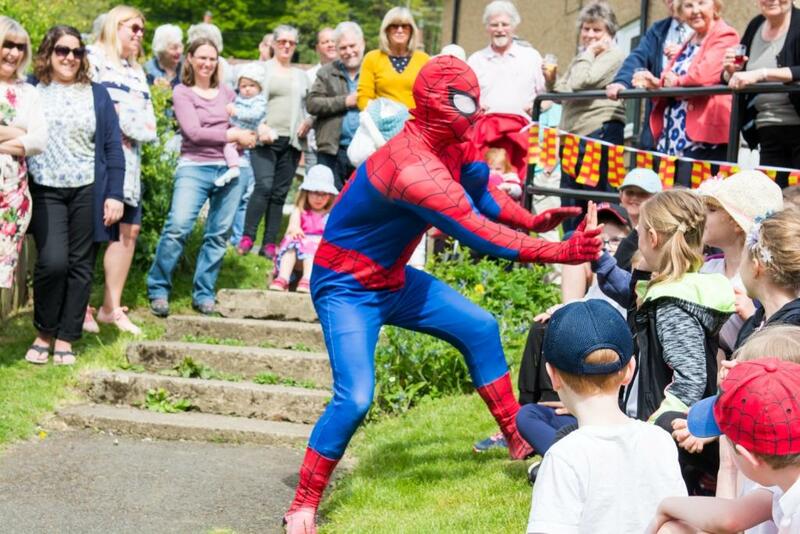 The Group will now look to new projects in the village – further details to follow in due course.